Jan (Jannes) Dijkstra (15-7-1982) born and raised in the North of Holland in a very small village called Olterterp with more cows then people. When he was young he was always drawing and making things. 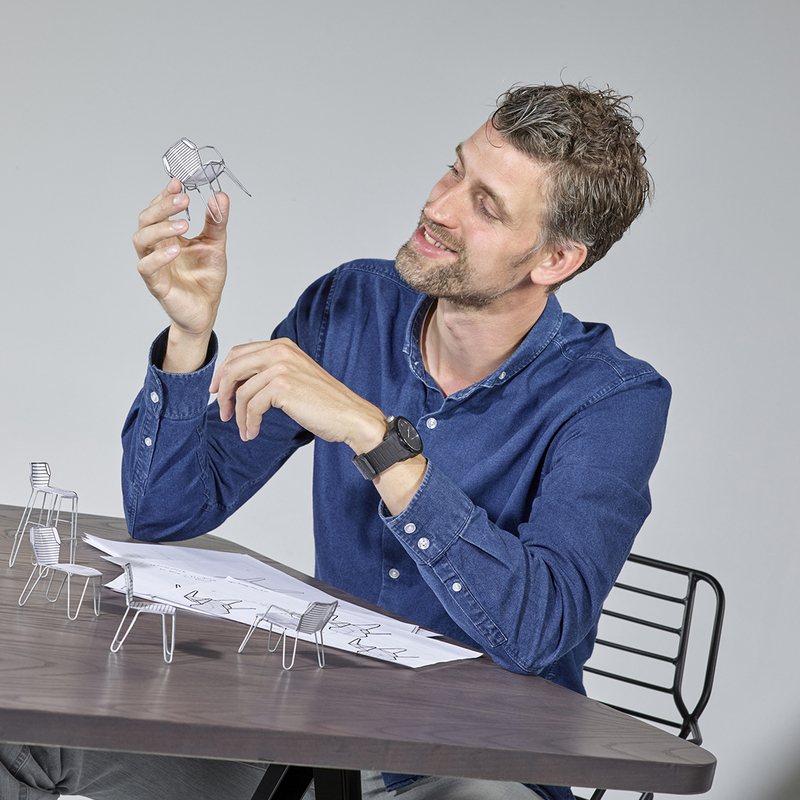 So it wasn’t a surprise he attended the Design Academy Eindhoven and graduated in june 2005 within the department living. 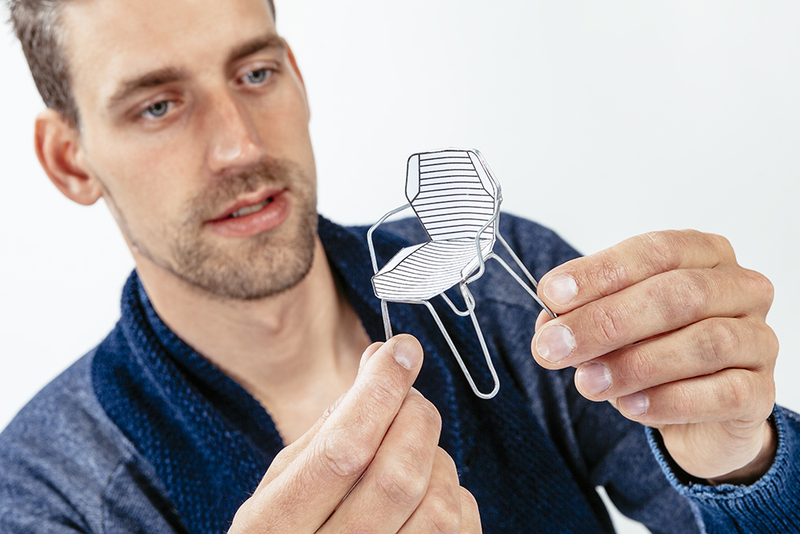 He graduated on the project ‘kitchenette’, a kitchen made of metal wire which is coated. For him this was the essence of a kitchen. During this project he discovered his love for this material; metal wire. After his graduation he started his own studio; Studio JanJannes. 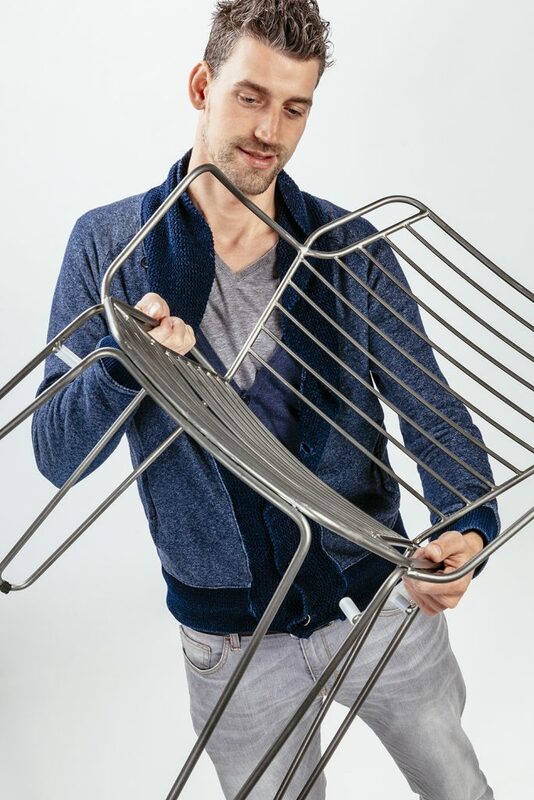 studio JanJannes worked for several clients; van der Hoorn Buigtechniek Geldrop, Prins Bernhard Cultuurfonds Amsterdam, Daniela Gregis Bergamo Italië, van Abbemuseum Eindhoven, Serax. From januari 2009 untill october 2012 studio JanJannes and ONS (Ontwerpstudio Nathalie Schellekens) worked together as studio ONSjan. studio ONSjan worked more in the field of architecture with clients as; Stiels straatmeubilair, Park Strijp Beheer, Lois, Brabant Wonen, Wooninc, Essilor, Hurks vastgoedontwikkeling. 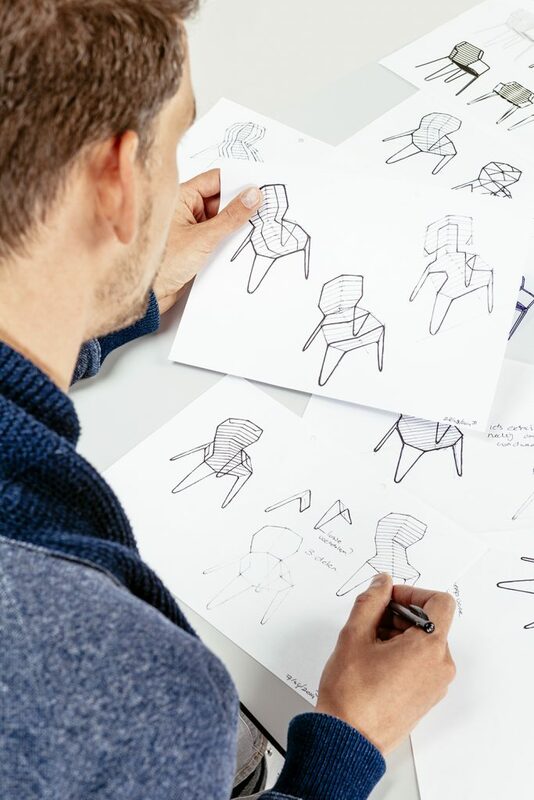 Studio JanJannes designs practical and functional furniture and products. Designs that make everyday life better and more beautiful. He creates friendly, cheerful and sympathetic designs with always a slightly quirky character. – Eye Friendly and Appealing. Current collaborations with: Label van den Berg, Satelliet Meubelen, Drisag, Pols Potten, Naber GmbH. Looking for new collaborations with interesting brands. By joining forces we can create the best for both!